The 82nd Anti-Tank Regiment, Royal Artillery was raised in September 1941 under the command of Lieutenant-Colonel G.P. Chapman DSO MC. It was formed by taking trained anti-tank batteries from existing units to be immediately available to go overseas. 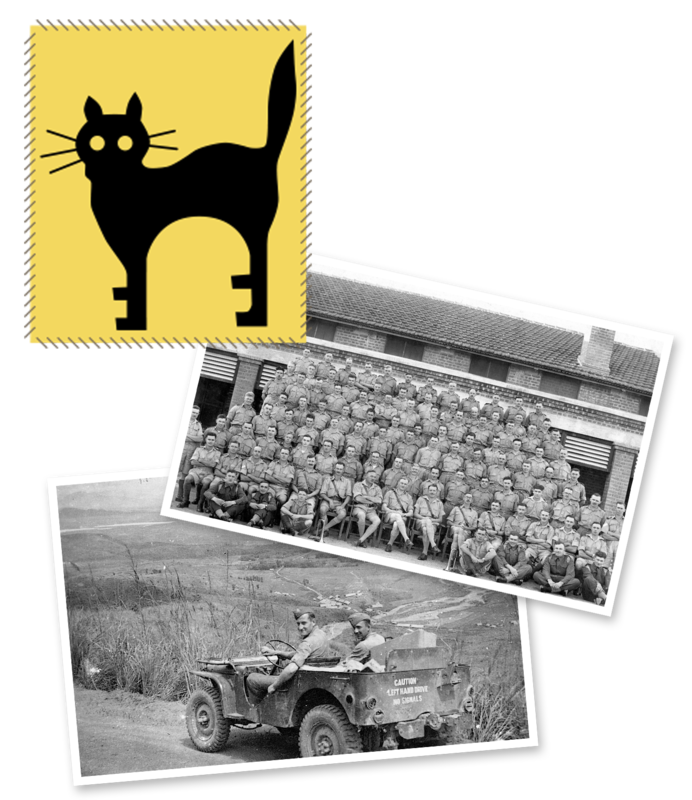 The nucleus came from the 57th (East Surrey) Anti-Tank Regiment in Canterbury, which lost its Regimental Headquarters (RHQ) and one battery, 228. The other batteries were 205 from 52nd Anti-Tank Regiment, 276 from 69th Anti-Tank Regiment and 284 from 71st Anti-Tank Regiment. The Regiment mobilised at Butlins Holiday Camp, Clacton-on-Sea, then sailed in November from Liverpool in a convoy bound for the Middle East. Following Japan’s entry into the war, however, it was diverted to India. After a brief stop in Durban, South Africa, the Regiment arrived at Bombay in January 1942, from where it entrained for Jhansi in central India. Billeted in the permanent barracks at Jhansi, its new transport, mostly 15 cwt trucks and motorcycles, and guns began to arrive. It was rumoured that the Regiment’s original vehicles and guns had ended up in the Middle East. By February, the Regiment was complete up to its full war establishment of 48 2-pounder anti-tank guns. On 26 March, the Regiment left Jhansi and moved by road to join 23rd Indian Division then forming at Ranchi. The 600 mile journey on the dusty unfinished roads took five days. At the end of May, the Regiment moved by rail with 23rd Indian Division to Assam on the eastern frontier of India to stop the Japanese following up their victory in Burma. RHQ, 228 and 276 Batteries were employed in the Imphal area with Troops at Imphal, Palel and Shenam. The latter, with its twin peaks, had been selected as a defensive position astride the road to Tamu. During this period, ‘Chapforce’ formed from the Regiment, undertook the construction of a road along the Silchar track, running west from Bishenpur to Lakhipur. In November the Regiment joined 17th Indian Division and with the arrival of 87 and 88 Light Anti-Aircraft (LAA) Batteries, each equipped with 12 Bofors 40mm guns, it was reorganised as a light anti-aircraft/anti-tank regiment. In January 1943 the Regiment moved south from Imphal to camps along the Tiddim road. At this time Lieutenant-Colonel Chapman handed over command to Lieutenant-Colonel J.R.S. Thompson. After another spell of road building, the Regiment was withdrawn with 17th Division to Shillong in India for the rainy season. Before the end of the year the Regiment returned to the Tiddim area in the heart of the Chin Hills. On arrival, it was ordered to form ‘Artforce’ to provide a screen of infantry patrols and listening posts covering Tiddim from the east. 87 Battery was fully deployed with guns at Tiddim and the Manipur River bridge. A Troop later moved to Kennedy Peak, where its three Bofors guns were stripped into sections and dragged by jeeps up to positions near the 9,000 ft summit. Two anti-tank guns also took on a bunker busting role at milestone 52 on the Tiddin-Falam road, where the Japanese had constructed a fortified position. When the Japanese launched their major offensive in March 1944 the Regiment fought its way back up the Tiddim road and in the decisive battles of the Imphal Plain around Bishenpur and the Silchar track. 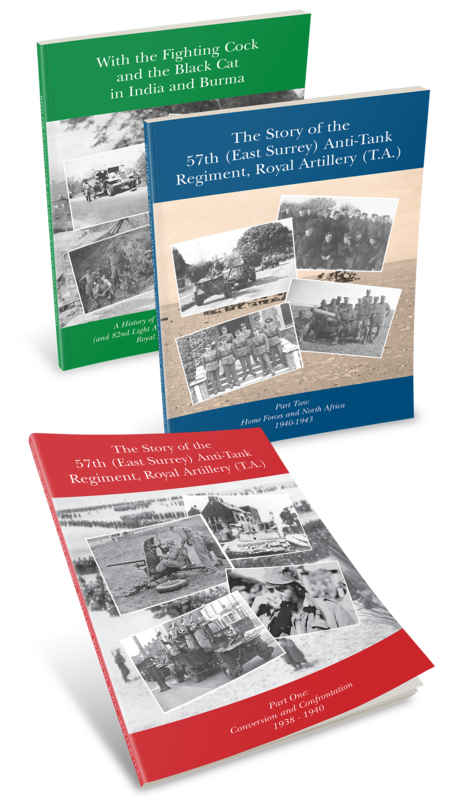 The Regiment operated in three quite different roles – anti-tank, anti-aircraft and infantry – and at one time was supporting four individual brigades engaged on different parts of the battlefield. The two LAA batteries – 87 and 88 – operated mostly as individual Troops allocated to the defensive boxes to provide air cover, although the Bofors guns demonstrated that they were equally effective against ground targets and joined in this role as required. The anti-tank batteries – 228 and 276 – likewise provided local defence of the ‘gun’ boxes and later became involved in the heavy fighting around the villages of Potsangbam and Ningthoukhong. On the Silchar track both anti-tank and Bofors guns were used for bunker busting. The troops of Artforce, in an infantry role, also provided local defence of the boxes and took part in the attack to eject an enemy force that occupied ‘Red Hill’ at milestone 10 on the Tiddim road. After nine months of action, the Regiment was ready for a rest and in September it was withdrawn with 17th Division to Ranchi. Prior to the move, the Regiment was reorganised on a new establishment of three anti-tank batteries in a dual anti-tank/mortar role. As a result, 87 LAA Battery was disbanded and 88 LAA Battery converted to the anti-tank role. The latter was later redesignated as 87 Anti-Tank Battery. The Regiment with its three batteries – 87, 228 and 276 – left Ranchi in January 1945 to take part in 14th Army’s re-conquest of Burma. After crossing the wide Irrawaddy River, it advanced on Meiktila, the main Japanese communications and supply base in Central Burma. Meiktila was captured after a four day battle and the Regiment dug-in to withstand the expected counter-attack. It was given the task of providing anti-tank defences as well as providing mortar troops to support the infantry by day and night. Throughout the month of March it was in action in these roles and also joined strong mobile columns of infantry, tanks and guns sent out to strike at the enemy. By the end of the month, the Japanese efforts to clear 17th Division from Meiktila were over and the Regiment re-organised for the final advance to Rangoon. The batteries were each reduced to a tactical headquarters and one troop in the mortar role, apart from one troop in a dual mortar and anti-tank role. The remainder of each battery was given an infantry role to provide protection for the field artillery regiments. The batteries moved independently with the brigades of 17th Division to encircle the first objective, Pyawbwe, which was captured on 10 April. After a short halt, the Regiment then resumed its advance down the Sittang valley to Pegu, which fell on 1 May. Hlegu, just 28 miles from Rangoon, proved to be the end of the road as the city was captured without opposition by 26th Indian Division coming from the sea. Since leaving Meiktila the Regiment had covered about 300 miles in five weeks and it was only the early arrival of the monsoon and the stubborn Japanese resistance at Pegu that stopped 17th Division reaching Rangoon first. The Regiment then moved back up the main road down which it had advanced to help form a cordon to prevent the Japanese forces breaking out eastwards from their refuge in the Pegu Yomas hills and crossing the Sittang River. The Regiment was located in the area between Pyu and Penwegon, where it supplied troops for patrol work, manned standing posts, and deployed its mortars in protection of the gun box and other defensive perimeters. With the war in Europe all but over and the end in sight in Burma, the future of the Regiment was now in question, especially in view of the scheme to repatriate all officers and men who had been overseas for the allotted period of service of three years eight months. The matter was decided by the sudden announcement that the term of service was to be further reduced to three years four months and that all men would be sent home as quickly as possible. As 14th Army was unable to provide the necessary reinforcements a policy was adopted of allowing all but three of the British anti-tank regiments in the theatre to waste out. The 82nd was not one of the units to be retained and events moved quickly thereafter. On 12 June the first large party left for repatriation and by the end of the month the Regiment as a unit ceased to function as a further draft made it impossible for it to do so. So ended the life of the Regiment, although a composite battery did remain behind and took part in the destruction of the enemy when it attempted to break out of the Pegu Yomas the following month. During its period of service, one officer and 43 men had given their lives and 93 were wounded. Honours and Awards received were one Distinguished Service Order, two Military Crosses, six Military Medals and one Bar, two Member of the British Empire awards and one British Empire Medal. For a more detailed history of the Regiment . . .